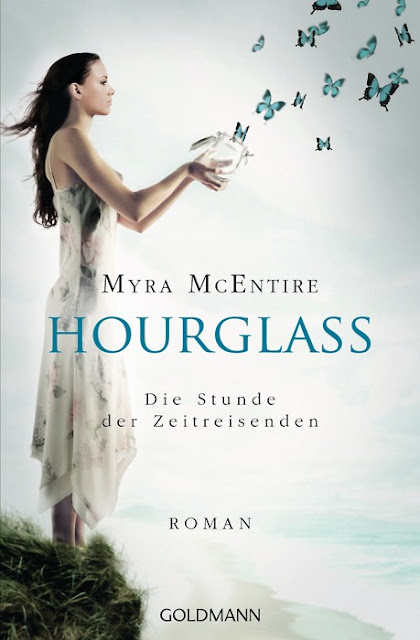 Myra McEntire: HOURGLASS GERMAN COVER! I HAZ ONE! AND IT IS GORGEOUS I AM SO EXCITED CAN YOU TELL HOLY CANNOLI! It's really beautiful, but I still like the original better. Love it! I think that will, like the original cover, inspire people to read it just based on the cover! I just saw the cover for TIMEPIECE (don't know how long since it was revealed) and just had to come over and say how AWESOME I think it is! I like it even better than the cover for HOURGLASS! I want to learn German purely to read Hourglass with that cover. If that fails, I just want to creepily pet.